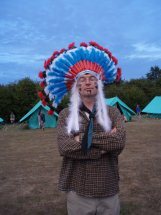 We had as a theme ‘American Indians’ and we all had feathers in our headresses. Helpful tasks, such as washing up, earned more feathers and everyone had the chance to nominate each other for a feather at our nightly pow-wows. 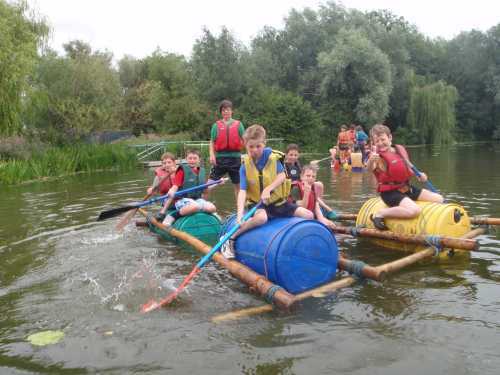 We did everything from bouldering (climbing sideways rather than upwards), air rifle shooting, canoeing, archery and rafting along with all the more traditional camp activities of fire lighting, outdoor cooking and sports. We also made some dream catchers and made a visit to the Top Secret Nuclear Bunker at Kelvedon Hatch where we also did some caving.